It’s really crazy, if you think about it, just how fast information can spread in today’s world. If a single piece of information is found to be somewhat credible, it quickly gains a lot of traction and everyone spreads it around. Pretty soon the entire world believes something that isn’t true. 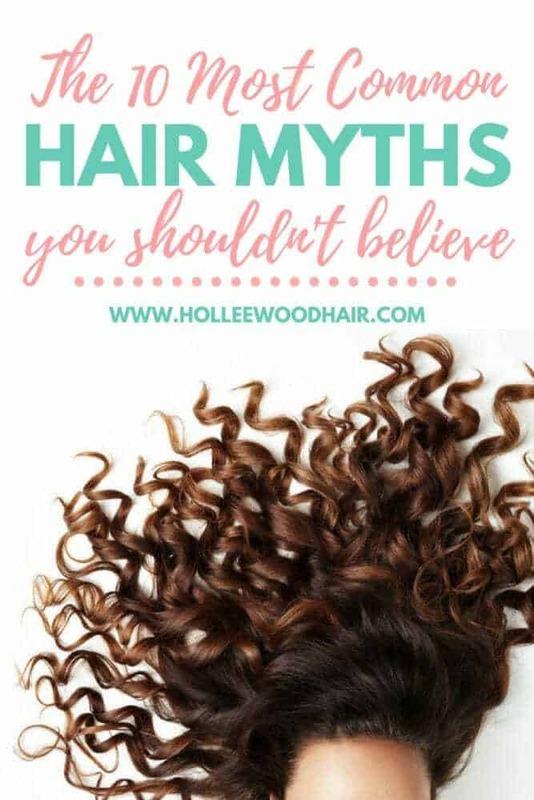 Like everything else, there are countless hair myths that most people believe. I’ve explained this concept a lot on this blog and I will continue to explain it since it is so commonly misconceived. Hair grows from the follicle and therefore, cutting it has absolutely nothing to do with it growing. 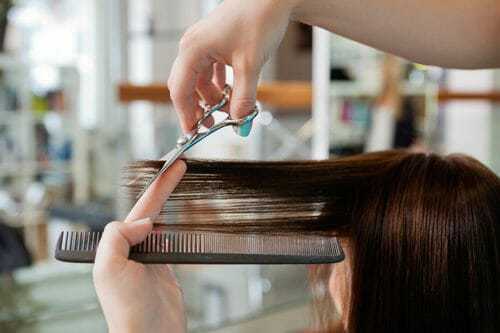 Cutting the split ends off, however, will prevent hair from breaking even higher up the hair shaft. This can make the hair appear to grow faster since if the hair isn’t breaking, it is getting longer. The best analogy I’ve ever heard was to think of the individual hair strand like it was a piece of rope that is frayed on the end. If you leave it be, the rope will continue to fray higher and higher up the rope. If you cut off the fray and burn it, it will stay where it is. I’d really hate to be the bearer of bad news, but once a hair strand has split, there is nothing that can be done to fix it. Hair product companies will promise you up and down that their products will mend those split ends, but science overrules them in this situation. Like I previously mentioned, you can cut the split end off to prevent it from further damaging your hair, but nothing in the entire world will fully repair it. Personally, I like to change up my shampoos often, but only because I like to try new things. I usually never buy the same hair or beauty product twice (unless I really love it). But the fact that you must change your shampoo often is another one of those hair myths you don’t need to believe. If you want to try something new, fine. 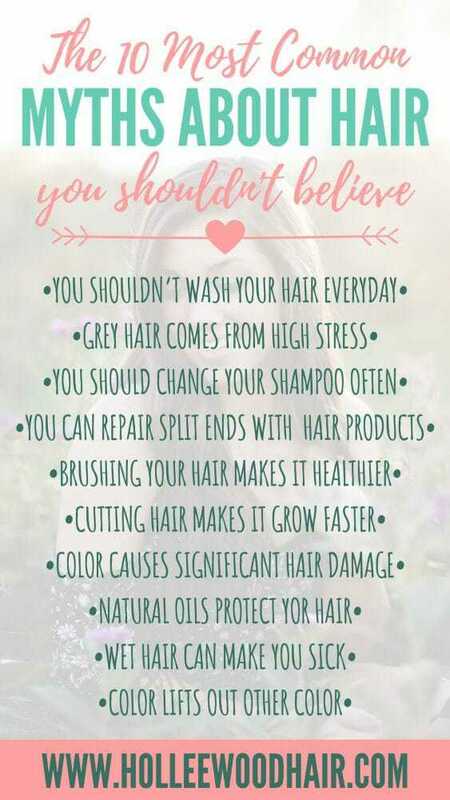 But if you have a shampoo that you love, keep using it. There is no evidence in the world to back up the hair myths stating that shampoo will lose its potency or effectiveness after a while. So many people believe that you should brush your hair 100 times every day for healthy hair. Although this might make it so that your hair has absolutely no tangles, for the time being, there is no real benefit in doing this. In fact, you are probably damaging your hair. Brushing can be pretty brutal, as the bristles of the hairbrush will rip right through your tangles, causing breakage. You might get away with using a natural bristle brush on your scalp, to increase stimulation and blood flow, but please be gentle. Also, you really don’t want to vigorously brush wet hair because it is more susceptible to damage when it is wet. While it may be true that bleach can significantly damage your hair (although there are ways to keep bleached hair healthy,) color does minimal damage to your hair when done correctly. Certain types of color use peroxide to raise the hair cuticle enough to allow color molecules to penetrate. If you constantly color the same hair over and over again, often, I guess you could probably damage it. But if you just color it every so often, and only refresh the previously colored hair, your cuticle should close right back up, causing minimal damage. The volumes of developer used in most colors (besides high-lift blondes, etc.) are pretty low, meaning they only lift the cuticle a little bit. Other types of color don’t use developer at all, doing absolutely no damage to the hair. If you don’t know what you are doing, and you start getting into color correction and trying to lift out previous colors, etc., you can start doing damage. If you have any doubts at all, consult a professional. They will know how to do your hair without causing damage. You’ll hear people say things like “I earned every single one of these grey hairs from my kids,” or “the president’s hair is a lot more grey now than it was when he got in office,” but these are just hair myths. Grey hair is determined by genetics and most people will go grey as they get older. In other words, he was going to go grey, whether he was in office or not. Stress can definitely mess with your body, and it may shorten the life cycle of the hair strands. However, it is way more likely to cause hair loss than grey hair. I typically don’t wash my hair every day, just because I don’t need to. But whether you wash it every day or not is really up to you. Some people have to wash their hair every day, otherwise, it will get really oily and unmanageable (dry shampoo works wonders). Some people can go multiple days without washing. There are countless arguments about this topic, stating that washing your hair will dry it out. That might be true, but that’s why you should always follow it up with conditioner. If you want to wash your hair every day, do it. If you don’t, then don’t. This is definitely one of the most misconceived hair myths around, and no doubt, you’ve heard it before. Your mom used to make sure your hair was completely dry before you walked outside in the morning so you didn’t get sick. However, the common cold is caused by a virus. So unless someone coughs on you while your hair is wet, it won’t do much to get you sick. The only real way wet hair affects your health is if it makes you so cold that you get hypothermia, in which case you would be more prone to infection. If you’re gonna bleach your hair, you’d better believe that the bleach will eat through the natural oils in your hair. You don’t have to wash your hair before getting it colored… and you probably shouldn’t, since it’ll be washed soon anyways. But it won’t hurt your hair to color or bleach it if it’s clean either. This is literally the most common misconception about hair color. 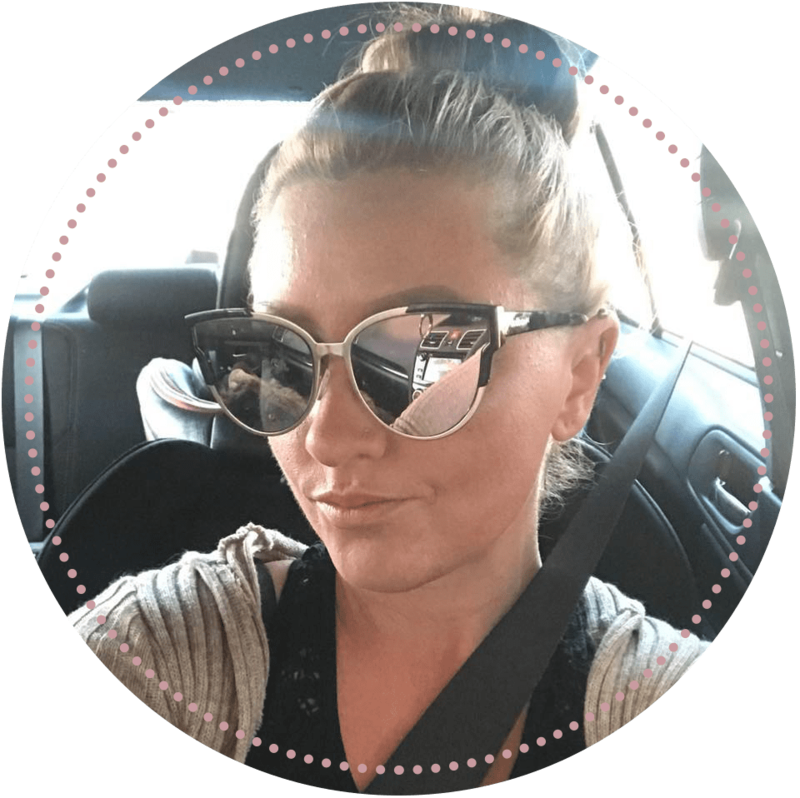 So common, that I wrote an entire article about it (The Golden Rule of Hair Color). I don’t want to go into all of the details about it here, so if you want more information, please read that article. But just know that color will not lift previously colored hair. If you colored your hair dark brown and then put light brown over it, it will stay dark brown.